No car lasts forever, but luckily, most car issues are resolvable. 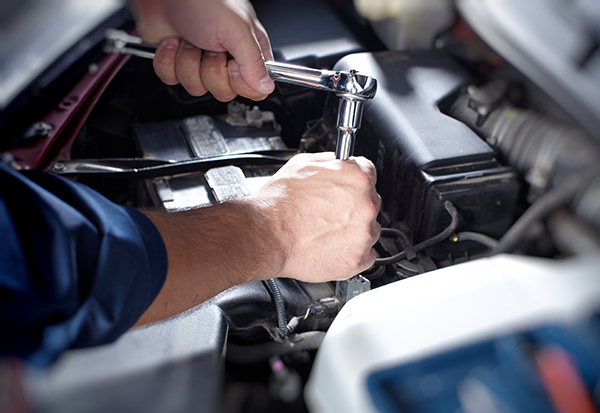 Many car owners trust their mechanics to tell them what is going on with their cars. The reality is, plenty of people don’t understand how their cars work at all. Luckily, even with a limited amount of knowledge, anyone can learn to look for the signs that a car needs attention. Many cars will start to show signs that maintenance or repair is needed. By paying close attention to the way a car drives when it is in top condition, it becomes easier to notice when a car is behaving a bit differently. Unfortunately, some repairs can be thousands of dollars, especially if the damaged car part is vital to the car’s functionality. The team at CarRegistrationAdvisors.org has a few helpful hints to look out for that may indicate that a car is in for an expensive repair. Our experts at CarRegistrationAdvisors.org would like to note that in some cases, the cost of repairing a car is greater than the car’s overall worth. When this happens, the car is considered “totaled.” A totaled car does not necessarily mean that the car is inoperable or unsalvageable. In the most extreme cases, repairing a cosmetic dent or a damaged bumper on an old car can cause it to be technically considered totaled if the cost to fix it is more than the car’s worth. If an automotive professional declares a car as totaled, consider if the repair is necessary for your own interests. For instance, cosmetic damage will most likely not affect the longevity of a car, though it may affect the appearance. The transmission is responsible for helping the car change gears. When a car is shifted from “park” into “drive,” the transmission is being used. Transmissions for automatic cars are more complex than manual cars, because they have more functions to perform. For this reason, automatic transmission repairs are generally more expensive, although manual transmissions may need more frequent repairs. The experts at CarRegistrationAdvisors.org estimate transmission repairs as typically costing anywhere from $150 for minor repairs, to $5,000 for a replacement. Most transmissions are under warranty until the car exceeds 12,000 miles. The car changes gears on its own while driving; this is usually accompanied with sounds coming from the engine and weak acceleration. There is a loud noise when changing gears, like a heavy thud. The car becomes resistant to changing gears, or there is a delay before the gear changes. The car is leaking a brown- or wine-colored fluid. Everyone prefers a smooth ride, but car suspension is responsible for much more than that. The job of the car’s suspension is to ensure that all of the tires are completely on the ground and that the brakes have sufficient power, particularly when driving fast. Functional suspension is essential for driving safely. Suspension repairs can generally cost anywhere from $2,500 to $3,500. When turning, the car feels like it’s about to flip over. When pressing down and releasing on the hood or trunk of the car, the car bounces more than five times. The ride consistently feels bumpier than usual. When cars are on, they have several different functions occurring at the same time. Many of these processes give off excessive amounts of heat, which is neutralized by coolant. The extreme differences in the temperatures sometimes cause the car’s head gasket to fail. The head gasket is used to create a barrier between the hot and cold air – specifically between the cylinder head and engine block. Coolant leaks, coolant loss without any apparent leaks, coolant tank overflowing, constant engine overheating and the car’s oil turning white are all signs that a car is past due for a head gasket repair. A ballpark figure for fixing a head gasket is about $2,000. However, it is not unusual for repair costs to far exceed this because head gasket failure tends to affect other components of the car.